However, the market is - as always - adjusting around us whether we like it or not. The demand for precision-tooled PCB design and manufacturing has made reshoring an increasingly popular option. Why? Because you need quality products to survive in today's market, quality you're unlikely to find overseas. The Internet has led to a revolution in how consumers buy things, and all manufacturers can do is try to keep up. According to this recently-released study, nearly half of consumers expect to use a mobile device in conjunction with their shopping – looking up deals and reviews – meaning that if a product is shoddy, they'll know about it. Further, while only about 1/5 of consumers say they're out to buy the bestproduct, regardless of price, take a look at consumers' wish lists for this holiday season. The most commonly-cited brands – including Canon, Apple, and Sony – come from companies who are all known for the high quality of their products. Combine that with their increasing willingness to skip in-person shopping altogether and just do it online, and consumers are sending a clear message to consumers: They have the intel, they have the power, and they're going to use it to get the best products with the best prices. In short, the days of the consumer electronics boom are just about over. Everyone's lives are filled with gadgets today – for better or worse – and consumers can afford to be more discerning. That's why you need good engineering design services and PCB design and manufacture services aimed not at producing products at the cheapest rate, but at creating affordable devices that still meet high standards of quality and precision. In-house design services, which can often optimize your designs to require fewer components, giving you higher quality with lower per-unit prices. An emphasis on high complexity orders: Modern facilities that can handle a higher range of models and customization is going to have the facilities necessary to meet whatever demands you have for your product's production. Robust testing services, both before and during production, to ensure you don't commit to selling a product before you can be certain it will stand up to expected use without any design flaws surprising you after the fact. Database-driven supply chain management, ensuring that only genuine, authentic components make their way into your products. 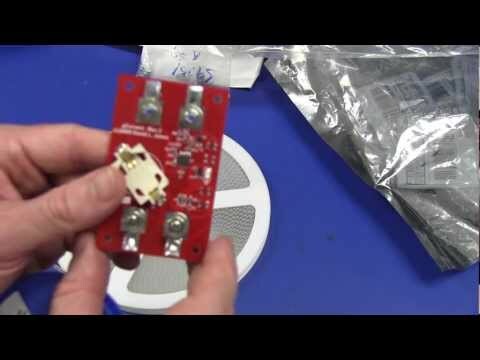 Counterfeit electronics are becoming a serious concern, and much of that is due to unsupervised foreign manufacturers cutting corners and pocketing the difference. A full range of standards and certifications, demonstrating their recognized proficiency in fields such as aerospace and medical manufacturing, giving you more confidence that their work is of the highest quality. 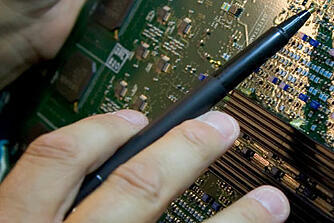 Precision and quality should be the watchwords when you search for PCB design and manufacture services. Don't gamble your company's future on the lowest bidder. Spending a little extra up-front to produce a product you can be proud of will do far more to assure your company's long-term returns.